One of the biggest songs of 2018 just got an awesome new remix. 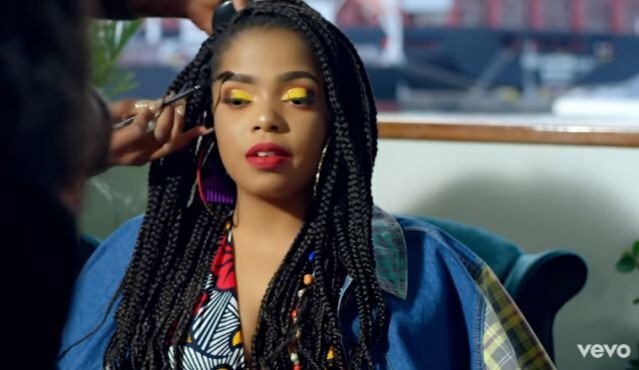 Shekhinah has released the official video for her 'Suited' remix. The remix features Nigerian singer and songwriter, Mr. Eazi. 'Suited' is the most streamed song on Spotify SA by a female artist so far this year- making Shekhinah SA's stream queen. The song, which is the lead single off her debut album, 'Rose Gold', achieved diamond status in April. The remix version is likely to be a hit as well, not only in SA but in Nigeria - where Mr. Eazi has a big following. Shekhinah's music is popular in other parts of Africa. The 'Please Mr' hitmaker headlined her first 'Unplugged' show in Zimbabwe recently. Thousands of Zimbabwean music lovers filled up the ZB Bank Sports Club in Harare to watch her perform at the music event. Shekhinah's collaboration with another artist is doing well on the charts. 'Different' featuring Mariechan, is currently at number 10 on the Coca-Cola Top 40.